Voting: Tues., June 11, 8 a.m. – 8 p.m.
Town meeting: Wed., June 12, 6:30 p.m. If more than 75 attend, it will be moved to the school. To be included in this list, visit our Contact Us page or send an email to The Town Line at townline@fairpoint.net. Just stopped in to the Solon Town Office to get an update about the position of treasurer because the present treasurer, Sharon Begin, is moving. The position is for a deputy treasurer, which will lead to the treasurer position. The deadline for applying is May 30. The Steve and the Good Old Boys Band will be playing at the Embden Community Center from 7 – 11 p.m., on Saturday, May 19. Received an update about the events that go on at the Embden Community Center. Neighbor to Neighbor Thrift Shop/Lending Library, 10 a.m. – 3 p.m./Wed., Fri. and Sat. Suppers: 5 p.m./ second Saturday each month, except December. Country Sunday: 1 – 4 p.m./second and fourth Sunday. By donation. Sewing class: 10 a.m.- noon/Wednesday.Weight Watchers: 5 – 6 p.m., Wednesday. New members accepted. TOPS (Take Off Pounds Sensibly) 10:30-11:30 a.m., Wednesdays. Community Center meetings: 6:30 p.m., Thursday, prior to the second Saturday supper. Yoga: 6:30 p.m., (one hour) Bring your mat, Thursday starting September 14; weekly, by donation. If you have any questions, contact Wayne at 474-1065. In my on-going attempt to organize my writing material, I came across one of the newspapers I had published on February 11, 2005, in the little paper I started when I got through writing for The Town Line for a short time. I am going to dedicate it to my deceased partner who helped me entertain the many friends we made back then. The front page shows a beautiful picture of my partner, looking very intelligent (which he was!) It states: Perseverance (Percy) Rogers co-owner of SOLON and BEYOND. And continues with a story about how I got him, etc. “Would like to introduce you to my partner and supporter, Perseverance (alias Percy). On bad days he is right there to cuddle with me, with one paw as far as he can get it around my neck. Percy started out as a frightened stray kitten and was rescued by a family on Route 43. They called and told me about this sweet little kitten that needed a home, and it was love at first sight. I named her Faith, but as luck would have it, on the first trip to the vet, I found out that a boys name was needed, instead. After a short time this little kitten started his true personality and hence Perseverance, or Percy for short. A short memoir from Percy; “To love abundantly is to live abundantly, and to love forever is to live forever. Anonymous. Was very pleased to receive the following very interesting news about Somerset County 4-H Leader’s Association 2018. Officers for this are Eleanor Pooler, president; Sherry Grunder, vice president; Lori Swenson, secretary and Karen Cornell, treasurer. The Somerset County 4-H Leaders Association is holding a fundraising effort: a “Luck of the Draw” Auction on May 5, in Skowhegan. 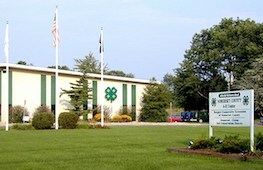 4-H is the largest youth organization in the world. Our 13 local Somerset County 4-H clubs and independent project volunteers/ members learn life skills and participate in community service activities. Research studies document that 4-H youth are more likely to go on to college than youth engaged in other out-of-school programs. We provide funds to enable youth to participate in programs like Engineering Day, the 4-H @ UMaine Conference, summer camps and various county educational activities along with awarding county scholarships to youth who attend college. In an effort to reach more youth, we are coordinating with local schools and teachers to establish afterschool programs. Would you be so kind as to help by donating an item or gift card? Many people love gift certificates for services or fun events. 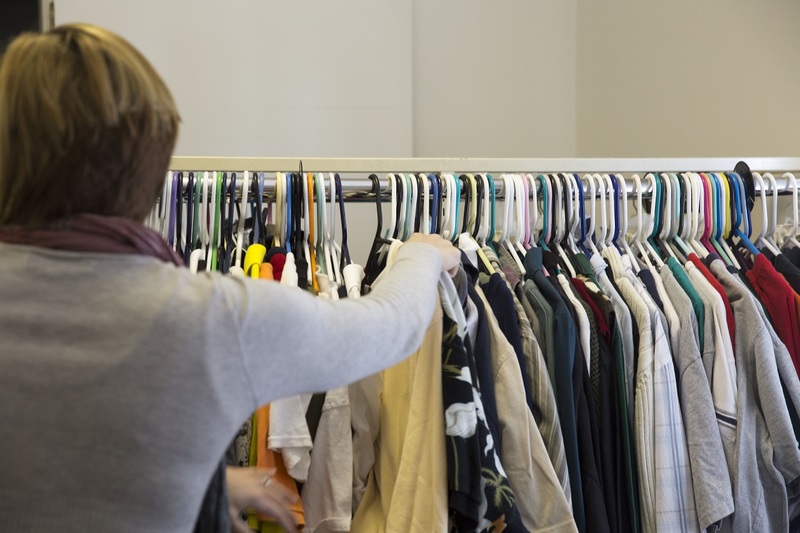 We are collecting new items or gently used things; no used clothing please. Your cash donations may also be used to purchase gas cards, a popular item in the auction for much needed help to many local residents. Items may be dropped at the Skowhegan Cooperative Extension Office. Now for the monthly news from Solon’s Pine Tree 4-H Club from leader, Eleanor Pooler: The Solon Pine Tree 4-H Club met at the Solon Fire Station with three leaders, nine members and seven visitors in attendance. Plans are being made for the club to do flowers for Mothers Day at the Solon Congregational Church. Several members are planning to attend to pass out the flowers. The Somerset County Leaders Association is planning to have a “Luck of the Draw” auction on May 5 at the American Legion Hall, on Route 201, in Skowhegan. Anyone wanting more information can contact Eleanor Pooler at 643-2305. Five members gave their demonstrations. This is something that members are asked to do each year. After the meeting the members enjoyed doing a craft project. The next meeting will be on Saturday, May 12 at 9:30 a.m., at the Solon Fire Station. Several columns ago, I shared a letter I received from the Somerset Woods Trustees. This is just a reminder that they would appreciate volunteers to help clear the Kennebec Banks Rest Area on April 22. Please bring whatever tools you may have to dig, cut, and trim. We should dig out the Japanese knotweed and honeysuckle. Please bring your gloves. We’ll supply the doughnuts and hot chocolates. Taps lightly at the door. Are singing in the rain. Each day that passes by. As broad as it is high. A ladder of the years. Was pleased, as always, to receive an e-mail from Somerset Woods Trustees and it starts out like this: “It’s Winter. Not that I needed to tell you! Here are three questions to make winter more interesting: Do you have some great pictures of ice shacks you might be willing to share? 2. Do you love the sound of owls and wish you knew more about them? 3. In this low winter light, are you enjoying the view of snow-draped firs but wondering how to pass along the forest you love to your children? I’m going to just take up the first question in this column, because I have a wonderful story to share with you about a special ice shack. And the first question from the Somerset Woods Trustees is as follows: If you enjoy walking on frozen water and love to fish, then you may already be ice fishing. Or perhaps you are admiring ice shacks through double-paned windows. In either case, please send us pictures of the most creative, exotic, or elaborate ice shacks you see! We will post them on our Facebook page! Please give us permission to publish your photos and approval to include your name as the owner of the picture. Their mailing address is Somerset Woods Trustees, P.O. Box 833, Skowhegan, Maine 04976. Scotty loves the outdoors, and especially likes to go fishing. Was also very excited when I heard about the following bit of news. The CCS Carrabec girls varsity basketball team has finished their Central Maine season undefeated. The team of eighth grade girls includes : Courtney Rollins #50, Trinity Slate #10, Brook Welch #23, Cheyenne Cahill #11, Aliyah Hupper #15, Julia Baker #3, Cassidy Smith #24, Lilly Augustine #13, Aislinn Slate #2 and coach Eric Carey whose dedicated coaching has brought the team to where they are. Congratulations on your great victory. And now for some of the events taking place at the North Anson Congregational Church: On Friday, February 9, there will be a 6 p.m., Movie Night, “The Shack” This is a Bring Your Own Snack and comfy chair fellowship event. Come and Enjoy! February 10, 8 a.m., Women’s Fellowship Devotional and Coffee. February 11. Church’s potluck lunch and Hearts Game following the morning Worship Service. February 14, 7 p.m., Ash Wednesday Service at the First Congregational Church of Norridgewalk. I would like to thank the board and staff at The Town Line newspaper for the beautiful Sympathy card, and all of the friends who have sent cards after the death of my stepfather, Clarence Jones; it meant so much. More Solon School News: The Solon Kids CARE (character, actions, respect, empathy) Club has begun its work in the Solon School again this fall. An affiliate of the Maine Civil Rights Team Project, it is dedicating its efforts to encouraging in the students the ideas of random acts of kindness, positive attitudes and caring for the small community. The team advisers are Mrs. LaChance and Mrs. Stevens. Mrs. LaChance organizes activities for all of the K-2 students. Mrs. Stevens works with a team of students in grades 4-5 who will organize activities for the school. These are the members this year: Desmond Robinson, Ciara Myers-Sleeper, Ciarrah Whittemore, Cailan Priest, Allison Pinkam, Karen Baker, Ella McKinnon, Macie Plourde, William Rogers, Madyson McKenney and Alden LcLaughlin. The Kids Care Club is already hard at work! They ran a Halloween Dime Raffle in which they raised money to be used for T-shirts and for other team activities. On November 28, some members of the group will attend the annual Civil Rights Team Conference at the University of Maine at Farmington. Dime Raffle Winners: Sponsored by the Solon Kids Care Club were Caden Fitton for the boy’s prize, Paige Reichert for the girl’s prize, and the fifth grade for the class prize (won by Paige Reichert). On October 20, the Solon Fire Department visited the Solon School to do presentations about fire safety in conjunction with Fire Safety Month. Firemen Todd Dixon and Richard Kelly, of the Solon Fire Department, talked to students about how to keep safe in the event of a fire. The firefighters took the students outside to show them their new fire truck and to demonstrate how fire hoses work. The firefighters brought goodie bags for the students. Home Alone on Thanksgiving Day? Veterans? Just need a good, hearty meal? Come join us at the Community United Methodist Church for Thanksgiving dinner! No charge. Thanksgiving Day, Thursday, November 23, at the North Anson Community United Church Community Room (disabled accessible) Doors open at 10 a.m., with refresments, games and conversation. Full Thanksgiving dinner served at 2 p.m.
Limited transportation is available to the North Anson, Embden, Madison, New Portland and Solon communities. Call Betsy at 431-5860 by Tuesday, November 21, for pick up reservations, dependent on weather conditions. Sponsored by the Community United Methodist Church of north Anson/Madison Congregation. Jen Hibbard is hosting a craft fair on November 25, from 9 a.m. until 2 p.m. This event will be held at the Embden Community Center, with a bake sale, raffles, hot foods, with over 30 tables of crafters, vendors and artisans. Skowhegan-area merchants will be celebrating Small Business Saturday on November 25. The downtown will be hopping with all sorts of discounts and specials. Pick up your Shop Small passport at any participating merchant, have it stamped everywhere you shop, and then drop it off for a chance to win the grand prize! It’s another way for us to say “Thank You” to all you that help support locally-owned businesses. A very Happy Thanksgiving to all of you! The Solon Pine Tree 4-H Club reorganized for a new year on Saturday, October 14, at the Solon Fire Station with 12 members. Plans were made to attend County Achievement Night on October 27 at Kennebec Valley Grange Hall, in Madison. Plans were also made to hold a family supper on Friday, November 3, at the Solon Masonic Hall. For a fun activity the members painted pumpkins that were donated by the Seavey Farm, in North Anson. They also made Nature Frames using silk from milkweed pods, different kinds of leaves and flowers. After the meeting the members enjoyed apple cider. The next meeting will be on Saturday, November 11, at 9:30 a.m., at the Solon Fire Station..
My many thanks to Eleanor Pooler, the leader of the Solon Pine Tree 4-H Club for always sharing their interesting meetings with us. It is always greatly appreciated. And many thanks also, to Eleanor, for her devotion to leading this great club! I was very glad to receive an e-mail(which had been written while we were in Rangeley) so wasn’t able to get it in in time for the supper) My many thanks to Aryke Coombs for the e-mail that said, “We had our annual roadside cleanup on the morning of Saturday, September 30. We also have a spaghetti dnner and Luck of the Draw coming up on Saturday, October 28. There will be a door prize, the dinner, a Luck of the Draw, and a lot of fun to be had. Our local heroes, the members of our Solon Fire Dept., will be the waiters and waitress. The dinner and Luck of the Draw will be from 4 – 7 pm at the Solon Elementary School. The above was done by the Solon Fire Auxiliary. I was very happy to see the above e-mail to share with our friends, I have stressed before how much I would like to have news of what is being done. We had a wonderfully relaxing week at the Rangeley Lakes Resort, it is a very nice peaceful place for a vacation. This year we were happy to have several visitors. Lief’s sister and brother-in-law, Judy and Elwood Ellis, of China Village, came up to see us one day. My brother and sister-in-law, Tom and Insowa Jones and their dog Wekow, came up from Farmington and spent Tuesday night with us, then we drove over to New Hampshire on Wednesday. (I could not get used to the fact that you don’t have to pay a sales tax over there, it was great!) On Friday, my daughter Mary and son-in-law Dave Walz came for a visit and we ate at the Red Onion. We were so happy to have visitors and…. we also had four-legged friendly visitors! One evening we arrived back to our cabin and there were two friendly deer waiting for us right on the lawn near the porch. They stayed around and visited for awhile, then slowly meandered off into the trees. Another day a deer came out on the road that leads to the main highway and walked along slowly ahead of us as if he was showing us how to get to the main road. Another day, we were doing a little shopping across from the Red Onion and heard some one over at the outside eating area call out, “Hey, Lief,” and we looked, and it was Ronnie Brown and several of his ATV friends having lunch there. We went over and talked with them for awhile.